Movesense is an open development environment for motion sensing solutions. Its easy and innovative tools allow you to build your own wearables quickly and cost-efficiently. With Movesense, you can track sports, health, equipment, machinery – basically anything that moves. Created by the Finnish sports watch expert Suunto, it is your fast access to proven sensor hardware and technology. 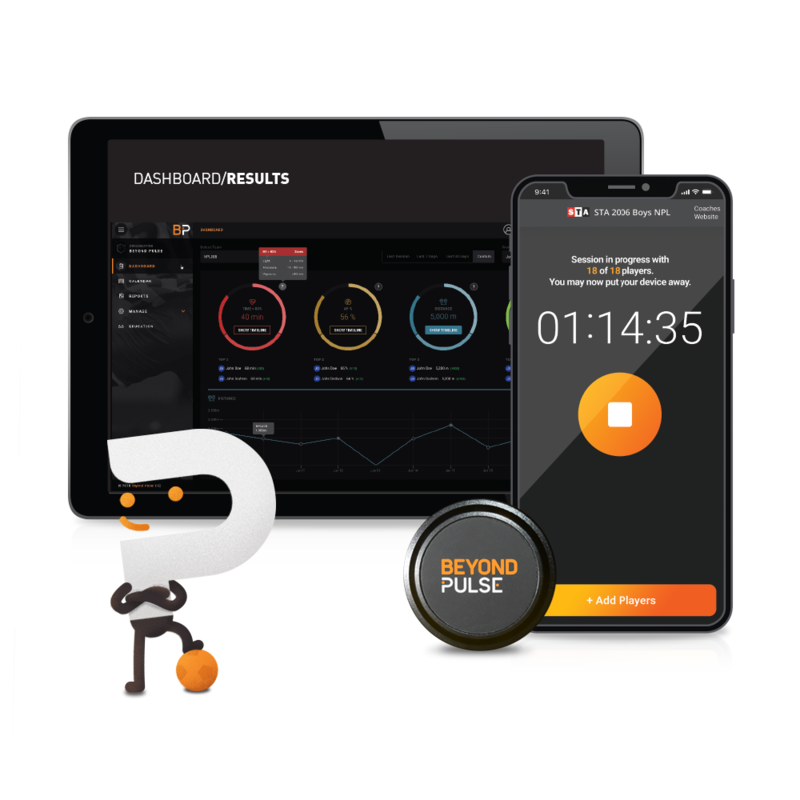 Movesense includes a set of developer tools, API’s, the Movesense sensor and professional support that will allow you to create dedicated applications and services for your favorite sports and other motion sensing needs. Don’t waste your resources on hardware development testing and manufacturing. This shortens time to market and cuts costs dramatically vs. building everything from scratch. 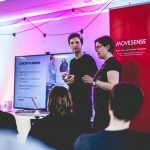 With Movesense you can concentrate on your actual idea and immediately start developing a sensor app and an associated mobile app that deliver the actual end user value. The growing Movesense ecosystem offers partnering opportunities and supports its members in development, awareness building and credibility. Together we are stronger than alone. 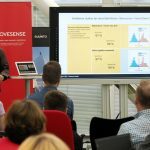 Movesense platform includes innovations that enable a similar revolution in the world of wearable sensors that happened with mobile phones with open app development and in the Internet with the arrival of well-defined APIs. The sensor can run applications that you develop. It is the first commercially available, consumer-level product that offers a managed API for 3rd party apps in microcontroller environment. This is the first time that an app ecosystem comes to small sensor devices similarly to mobile phones. You can process the measured data inside the sensor. Instead of streaming raw data to phone the sensor sends calculated results, reducing tremendously the amount of radio communication and allowing standalone use cases. This makes Movesense much more versatile, power efficient and lightweight than other IoT sensors. REST API. Movesense is the first commercially available microcontroller based device that provides a REST API, conceptually familiar to developers from web apps. This simplifies app development dramatically. You can build your own services on top of the API and use these services as part of your app equally to the ones offered by the firmware. The REST API is symmetric, meaning that the sensor can use the services that your phone offers and vice versa. Ready to use in tough conditions. Movesense sensor is not just a circuit board like many other IoT sensors. It is a complete product, ready to ship & use with your functionality and your logo. It’s shock and water resistant, tiny and lightweight, extremely power efficient, tested according to tough Suunto procedures, and certified with relevant radio approvals. The sensor is in mass production, manufactured by Suunto in Finland and is available to any interested company or developer in any quantity. Movesense connector. If you want to make a piece of apparel or equipment ready for smart features and digital connection, you have two options: Either you start a project from scratch, embedding electronics into apparel or gear. OR, you take the Movesense connector, attach it to the piece that you want to make smart, plug a Movesense sensor to it and, off you go! What’s even better, when the network of companies and developers working on Movesense based projects publish new sensor concepts, you can just offer your product as a base to attach the sensor. All you need is to equip your kit with the connector. We invite companies and individuals to build their own solutions for their favorite sports within the Movesense environment. Developing is fast and straightforward for any programmer. Common developer tools and methods apply, and the platform is available for all interested parties. Movesense offers motion sensing and other smart features for any sport or activity. The Movesense sensor can be easily attached to a person as well as apparel and gear. The same sensor can perform different applications in different situations or contexts. As the range of Movesense solutions grows, you’ll be able to find a perfect sensing solution for your specific need. When your activities change, your can use different applications with the same Movesense device.